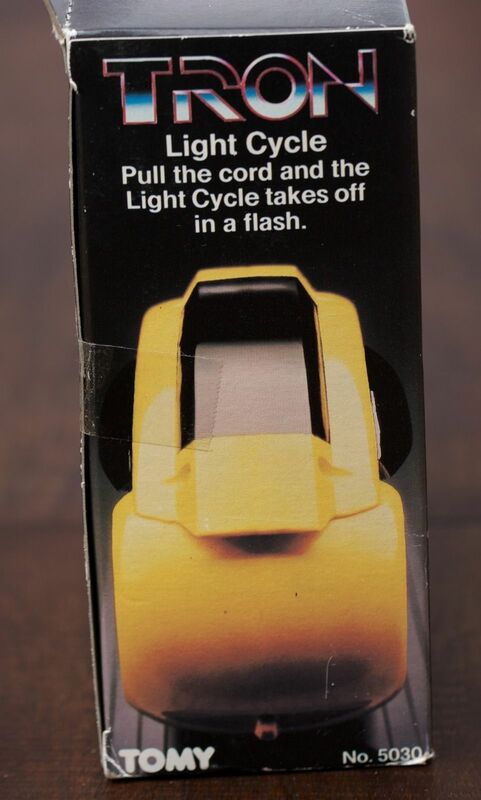 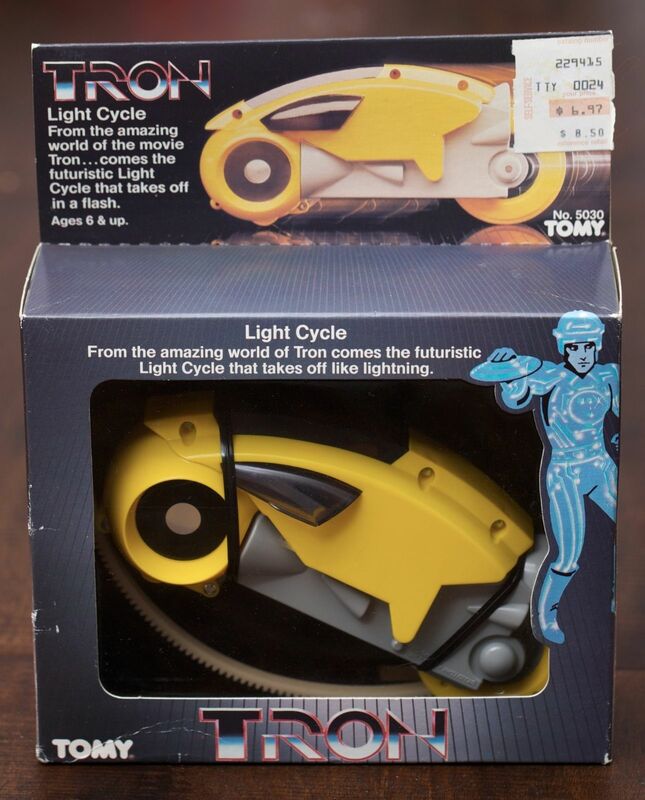 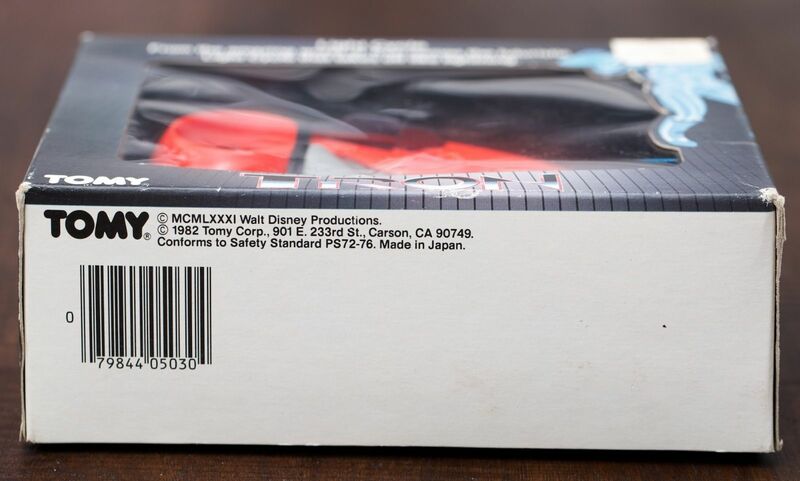 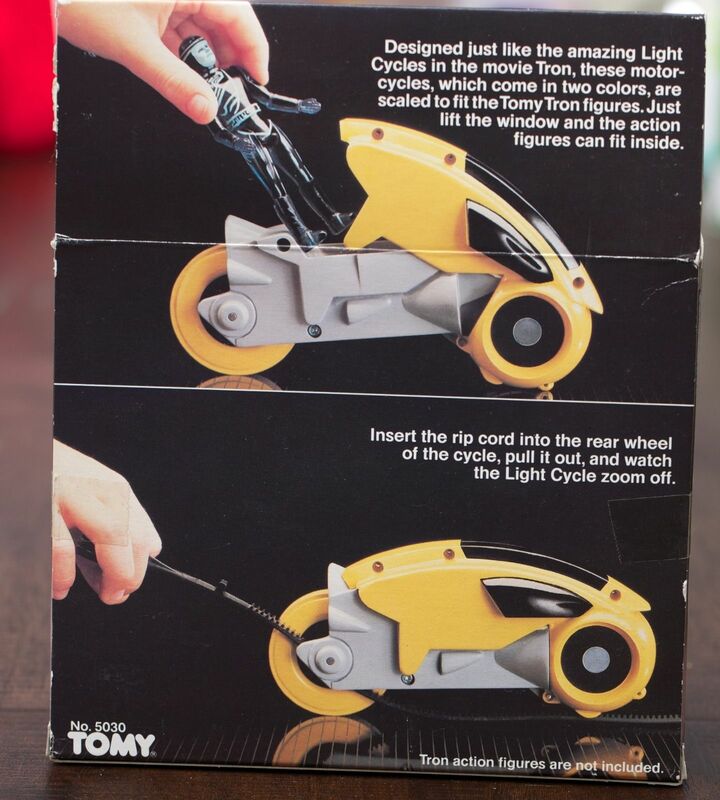 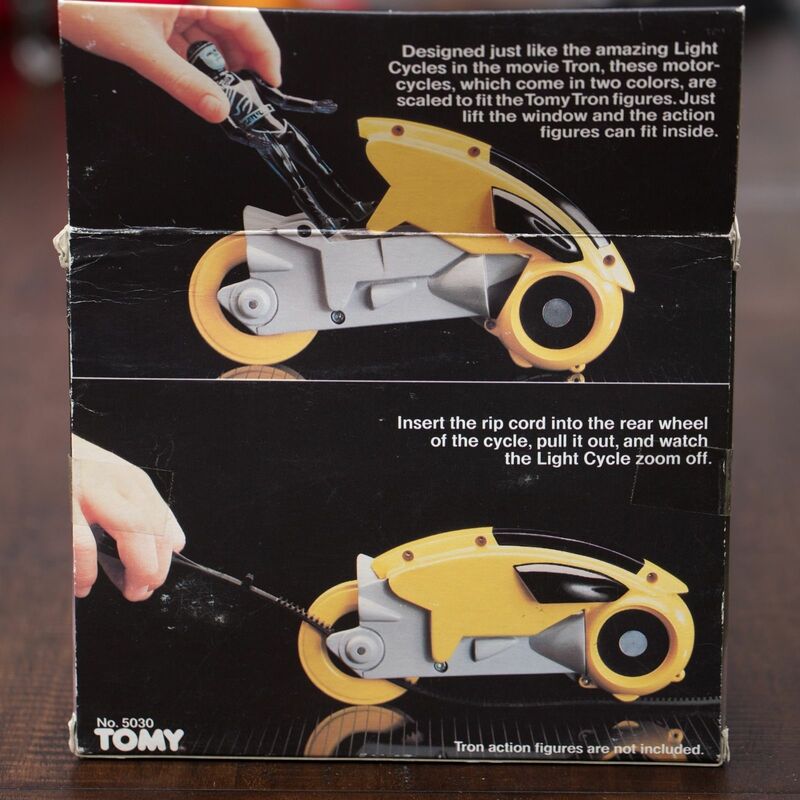 Tomy’s TRON action figures are here. 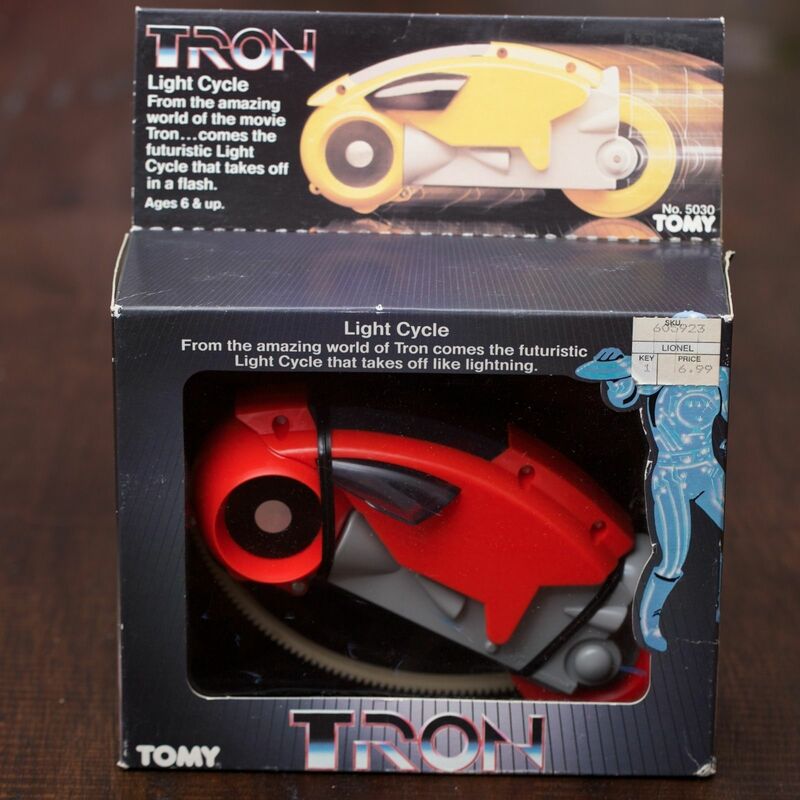 Jason makes a good case at Contra Dextra Avenue that the second cycle is orange, not red, since Tron rode an orange cycle. 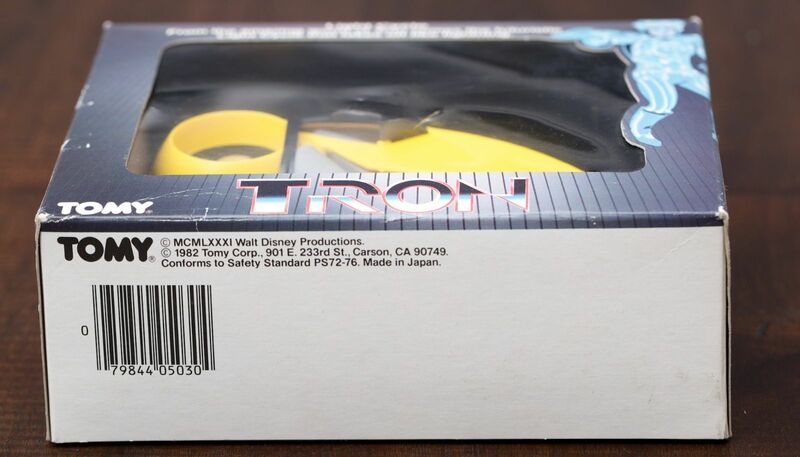 The price tag on the yellow cycle looks like it’s from Best Products.